The Electronic Collar Manufacturers Association™ (ECMA), which is based in Brussels, Belgium, was created in March 2004 as a result of increasing awareness from different manufacturers concerning the necessity of regulating their Industry. All the members continuously endeavour to improve their products and user guides enabling effective and reliable training while protecting animal welfare. Well-trained pets enjoy a better quality of life because they have more freedom to explore their environment in safety. 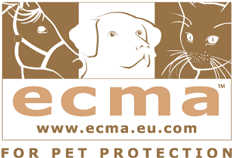 All ECMA members’ products meet the latest Technical Requirements, which enable training while protecting animal welfare. 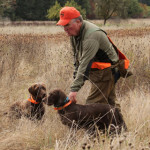 All members’ user guides use the ECMA Code of Practice as a reference providing consistent instructions for effective training techniques while protecting animal welfare. 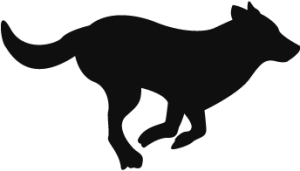 The Technical Requirements and Code of Practice apply to electronic stimulation, vibration, ultrasonic, sonic and spray collars (remote trainers, anti-bark collars and containment fences), pet tracking systems and any other companion electronic training devices. ECMA is committed to improving the quality of lives of pets while protecting animal welfare. The ECMA welcomes debate of robust scientific evidence with a view to constantly improving the effectiveness and safety of products. The design, development and manufacture of humane, balanced training systems that improve the quality of life of pets. Improving and enhancing communication between pets and owners therefore promoting the ‘pet : human’ bond. To provide and maintain the most up to date training and user guides to enable owners to use training systems effectively, responsibly and humanely. To never falter from our commitment to improve the quality of life of pets. To communicate, collaborate and cooperate with relevant stakeholders to improve animal welfare based on robust scientific evidence. To ensure through testing that our products comply with the latest revision of the ECMA Technical Standards. To ensure that our website, user and training guides follow the latest revision of the ECMA Code of Practice. To support prosecution of those allegedly responsible for maliciously compromising animal welfare through the misuse of ECMA members’ products when brought to our attention. We commit to comply with the latest relevant standards from numerous regulatory organisations. These are reviewed at the Annual General Meeting of the ECMA to ensure that they are the most relevant standards for the ECMA to conform to. Copies of Declaration of Conformance (DoC) are available from manufacturers upon request. The Electronic Collar Manufacturers Association™ (ECMA) recognises that reliably trained pets benefit from an enhanced quality of life. The ECMA strives to ensure that our products are used correctly and that the pet’s welfare is assured. To download the full ECMA charter for animal welfare, click here To download the latest revision of the ECMA technical requirements, click here. To Download the manual “Training with an Electronic Remote Training System, click here.